This deluxe, pearlised hand lotion soap has been enriched with vitamins and emollients, including non-irritant, coconut-derived skin conditioners and moisturisers. Mild and gentle, Mode Enriched Lotion Soap cleanses the skin and leaves it feeling soft, smooth and moisturised. 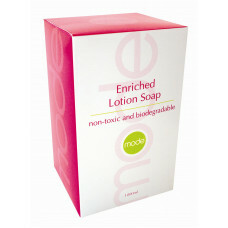 Mode Enriched Lotion Soap fits the bill perfectly. Designed to nurture, nourish and protect as well as clean, it delivers a hand-washing experience that's second to non. And it's economical too; perfect for offices, factories, hotels, garages and general washrooms. 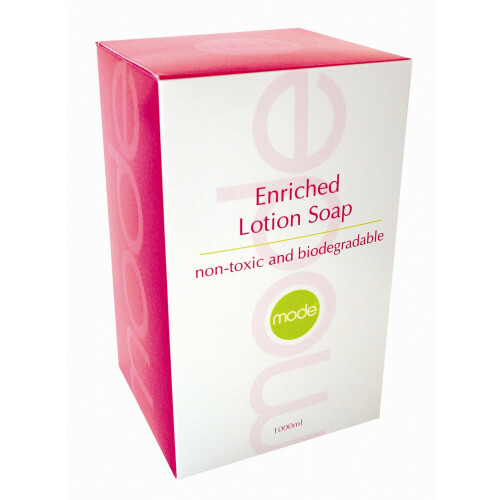 Mode Hygiene Lotion Soap is perfect for those with sensitive skin and ideal for hospitals ..